Why get Tutoring and Why is it so Effective? Have you ever sat in lecture and felt like you learned almost nothing? 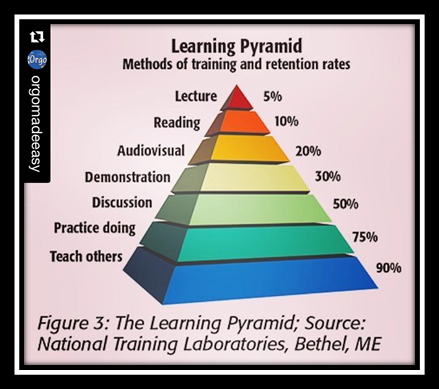 Did you know that by sitting in lectures you only retain about 5% of the 1 hour lecture?! In our tutoring sessions we teach you, and then you become the teacher! Tutoring with us is so much more than getting just another lecture. Our tutoring style is different from other tutors and instructors because our sessions are planned to be very active and engaging. We always make sure our students can teach the material back to us at the end of our session to ensure that you guys have truly mastered it. Most importantly, our sessions are not just another lecture, but rather a stimulating discussion that involves plenty of dialogue and critical thinking. We love being creative when it comes to tutoring and even have our students create problems and questions for themselves, their friends, and even our Orgo Made Easy Instagram page!